The Drake Institute of Behavioral Medicine and Medical Associates is a medical facility. The Drake Institute’s diverse treatment team includes caring professionals from a variety of mental health, educational, and medical backgrounds. This group works not just with the patient but also with parents, teachers, siblings and other influential members in the patient’s world to ensure success. They all support and reinforce the new patterns as they emerge from the patient. Each team member has his or her own significant role. David F. Velkoff, M.D., our Medical Director and co-founder, supervises all evaluation procedures and treatment programs. 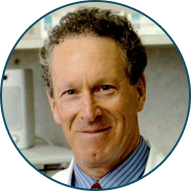 Dr. David Velkoff earned his Masters degree in Psychology from the California State University at Los Angeles in 1975, and his Doctor of Medicine degree from Emory University School of Medicine in Atlanta in 1976. Dr. Velkoff completed his postgraduate work on Obstetrics and Gynecology at the University of California Medical Center in Irvine. He then shifted his specialty to Behavioral Medicine and attended Menninger Clinic in Topeka, Kansas to learn biofeedback technology. In 1980, he co-founded the Drake Institute of Behavioral Medicine. Seeking to better understand the link between illness and the mind, Dr. Velkoff served as the clinical director of an international research study on psychoneuroimmunology with the UCLA Medical School Department of Microbiology and Immunology, and the Pasteur Institute in Paris. More recently, Dr. Velkoff was named associated editor of the scientific publication, Journal of Neurotherapy. We carefully choose, train, and certify our NPT’s with the knowledge that they are our first line of care and pride ourselves on these special team members. They are all very familiar, at a personal level, with the brain patterns our patients are seeking to strengthen. Their knowledge of training technique and their empathy keep them at our patient’s side and supporting their efforts every step of the way. In the world of therapy, never before has timing been more significant with the Drake treatment program. These team members are trained by Drake to make the most of the Full Care concept and to ensure the best overall results. Every time a new step is ready to be made in treatment, it is made by the program coordinator, along with the rest of the clinical team members. They are Drake trained because our program is unique and the elements of synergy present us with better than expected results. Your Program Coordinator will be with you all through care and beyond. They will continue to contact patients post care to ensure their integration over time. Drake’s educated and licensed therapists have the skills and experience to best apply the Drake treatment. Our therapy programs operate on the assumption that our patients are neurologically correcting their condition and they will have to learn how to integrate this new information into the family, the classroom and the world in general. In many cases the damage that has been done to the family must be addressed, and certain skill areas need attention. Drake therapists are aware of the elements that support the best possible results and help our patients do so. Psychoeducational Assessment: The Neuropsychologist administers Measures of Intelligence and Achievement and reviews IQ and Academic scores, as well as age and grade levels of current academic performance. An interpretive report documents results, and can be used to determine the strengths and weaknesses, as well as the treatment needs, of the patient. Neuropsychological Assessment: The Neuropsychologist administers Measures of Intelligence, Achievement, Attention, Memory and Learning, Executive Functioning, Language Skills, Sensory Motor Skills, Visual Perceptual and Visual Motor Skills, and Emotional and Behavioral Skills. The Neuropsychologist provides a comprehensive interpretive report determining strengths and weaknesses in neuropsychological functioning, and makes recommendations for treatment, as well as improved functioning in the home and school environments.